New magazines: "Our goal was to map the domestic landscape"
In a market increasingly dominated by websites and blogs, a series of new print titles are offering an alternative approach to writing about design. In the first of a series, Dezeen speaks to Anna Bates about carving out a niche for domestic design criticism with Dirty Furniture magazine (+ slideshow + interview). Founded by three design writers, Dirty Furniture is a biannual magazine that focuses on the way people interact with domestic design after an object has left the shop. 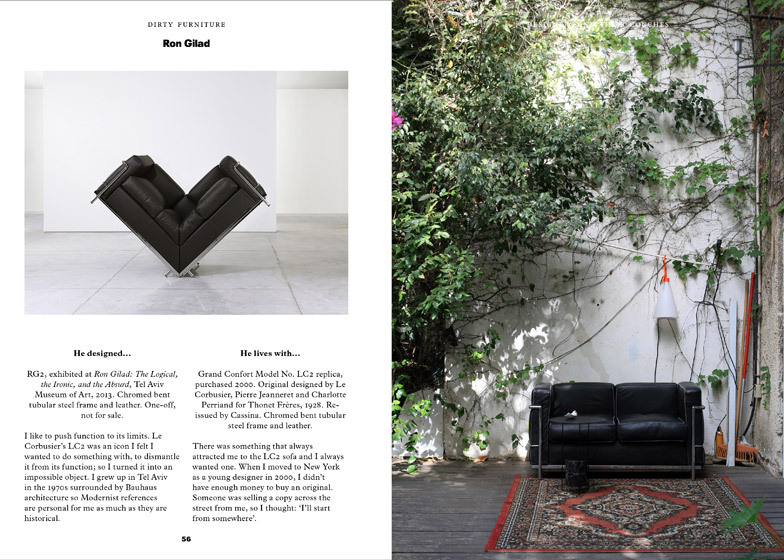 "Each issue takes on the theme of a piece of furniture and uses it as a springboard to discuss topics spanning politics, technology, psychology, history, design and manufacturing – and the plain weird," explained Anna Bates, co-founder of Dirty Furniture and former design editor of Icon. "We feel design and manufacture is just one part of a much larger story, when it comes to the things we construct our day-to-day reality around. What about the wider life of objects? What happens when they leave the showroom, and enter the realm of people? Is furniture as benign as the design industry would have us believe?" While online magazines have come to dominate the day-to-day news cycle in architecture and design, and are often used as a resource for inspiration, Dirty Furniture is among a number of new titles focusing on producing a print publication. "We've got lots of longer pieces, and they just work best on the page; at least that's where we enjoy reading them," said Bates. "Most design magazines are geared towards shopping. We wanted to make something that people would read and collect." Each issue of the magazine will focus on a different object. The first will launch at the London Design Festival later this month and is themed around the couch. 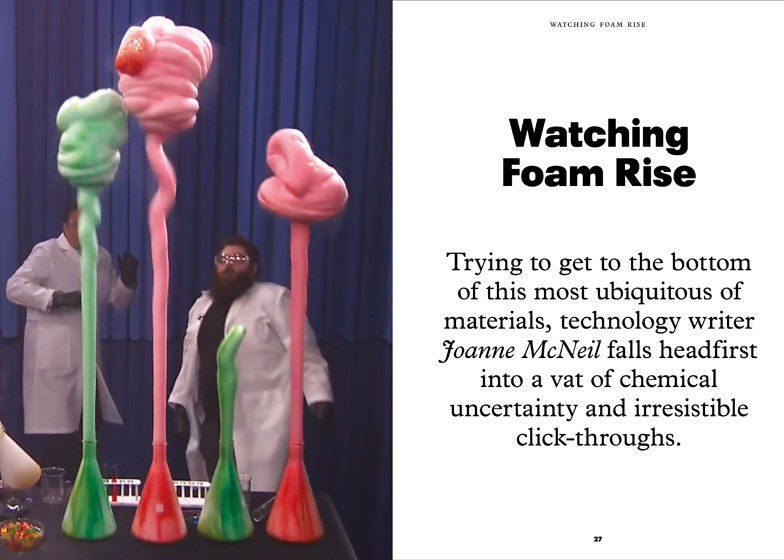 It includes an article on the value of "haunted" furniture, an analysis of the role of the sofa in sitcoms by Dezeen columnist Sam Jacob and technology writer Joanne McNeil on the fascination with foam. The editors have asked a number of designers to reveal the sofas they have at home, and have also interviewed a couch-surfer, an upholsterer and an antiques dealer. Future editions will centre on tables, toilets, cupboards, telephones and beds. "It was the sofa that got us started," explained Bates. "Milan furniture fair is brimming with them, but we realised we didn't really know anything about this huge, cumbersome thing." "Our goal was to map the domestic landscape. The single starting point actually gave us more freedom to branch off in completely unexpected directions." Bates is launching Dirty Furniture with Elizabeth Glickfield, a journalist and lecturer in Design History at Kingston University, and Pete Maxwell, a writer at Grafik magazine. London-based Sarah de Bondt Studio is designing the magazine, with covers inspired by the computer-generated environments found in Ikea catalogues. The first issue has been crowdfunded through a campaign on Kickstarter that allows the public to pre-order copies – the campaign ends tonight and has already met its target, with all additional funds now going towards future issues and playing contributors. "We want the magazine to sit firmly within the design industry and be funded using the same model as other design magazines, because it's in this space that we want to have an impact," said Bates. "In light of our name we didn't know how it would go with advertising. A few brands were a bit confused – and one was disgusted – but the rest seemed really excited by the premise of something so different. So we feel optimistic about the future." A number of design colleges are also currently in talks with the magazine's editors about running modules for students based on the content in Dirty Furniture. Anna Winston: Can you introduce yourself and your partners on the project and tell me a bit about your background in publishing? Anna Bates: We're three design writers. Pete works at Grafik magazine and is a critical writing graduate from the RCA. Lizzie writes for Eye and Frieze and lectures in design history at Kingston, and I write for the international design press, I'm contributing editor at Icon (former design editor), and Lizzie and I are currently working on the book 100 Ideas that Changed Design for Laurence King. Anna Winston: What is Dirty Furniture? 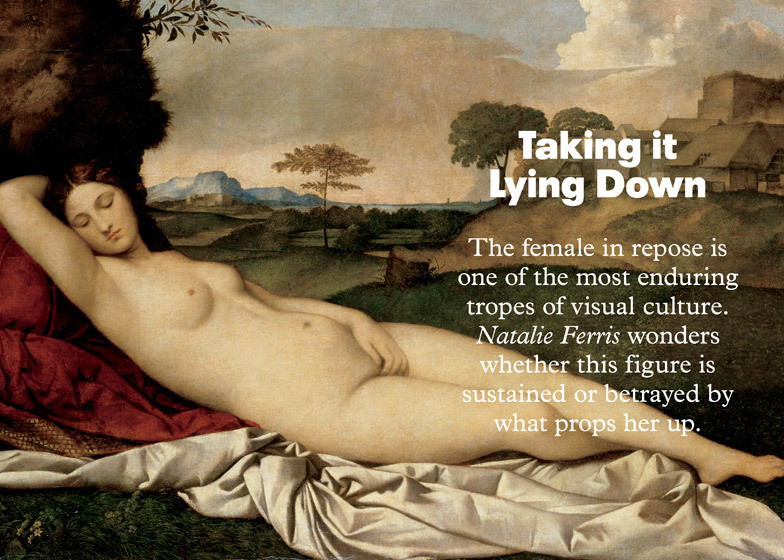 Anna Bates: It's a new, biannual publication that will run as a finite series of six. Each issue takes on the theme of a piece of furniture and uses it as a springboard to discuss topics spanning politics, technology, psychology, history, design and manufacturing – and the plain weird. We start with Couch, and future issues will be Table, Toilet, Closet, Telephone and Bed. Anna Winston: Why did you set up the magazine? Did you feel there was something missing in design criticism? Anna Bates: It was the sofa that got us started. Milan furniture fair is brimming with them, but we realised we didn't really know anything about this huge, cumbersome thing. We feel design and manufacture is just one part of a much larger story, when it comes to the things we construct our day-to-day reality around. What about the wider life of objects? What happens when they leave the showroom, and enter the realm of people? Is furniture as benign as the design industry would have us believe? The field of design writing is so young and less defined than say art or literary criticism, so we wanted to create a space for different kinds of writing about design and have a bit of fun. Anna Winston: What kind of content can readers expect from the magazine? Who will be writing for it? Anna Bates: In the launch issue we have pieces on the price tag of haunted furniture, the couch's role in genetic surveillance and the peculiar phenomenon of Channel 4 TV programme Gogglebox. Our features include design historian Penny Sparke on the history of comfort, architect Sam Jacob on the role of the sofa in sit-coms, emerging writer Natalie Ferris on women lying down and Disegno editor Johanna Agerman Ross on the current trend for mess in interior photography. Artist Jeremy Millar recently documented Freud's couch, and he tells us what he found underneath the rug. 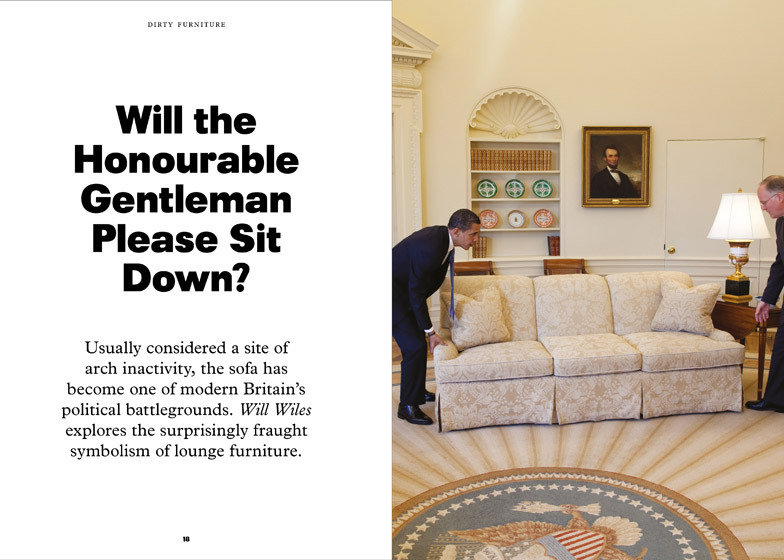 Novelist Will Wiles writes about Tony Blair's so-called 'sofa politics', technology writer Joanne McNeil explores our fascination with foam, and I explore why the couch is such a stubborn archetype. We've also interviewed the often over-looked and forgotten: a couch-surfer, an upholsterer and an antique dealer, and asked designers to expose what they live with at home. Anna Winston: Why theme each issue? Anna Bates: Our goal was to map the domestic landscape. The single starting point actually gave us more freedom to branch off in completely unexpected directions. Anna Winston: Why did you choose Sara de Bondt studio to design the magazine? Anna Bates: We've been admirers of her work for a while. The studio's approach — she works with Mark El-Khatib — is really thoughtful and considered. And Sara is also a publisher in her own right, which was appealing. Anna Winston: What informed the design? Anna Bates: Most design magazines are geared towards shopping. We wanted to make something that people would read and collect. Our brief to the designers was for a design which would sit in the genre of the design magazine but also question that genre at the same time. The covers for the set are being illustrated with computer generated images of furniture, inspired by the recent news that 75% of the imagery in Ikea catalogues are computers renders. A lot of our interaction with design is entirely digital, so it made sense to reflect on this with our covers. They're visualised by new media designer Thomas Traum. Most design magazines are geared towards shopping. We wanted to make something that people would read and collect. Anna Winston: How have designers reacted to the idea of a magazine focused just on criticism? Has the reaction been different from other journalists? Anna Bates: A lot of designers we speak to say they get their inspiration from more expansive sources than just design magazines and the projects of other designers. 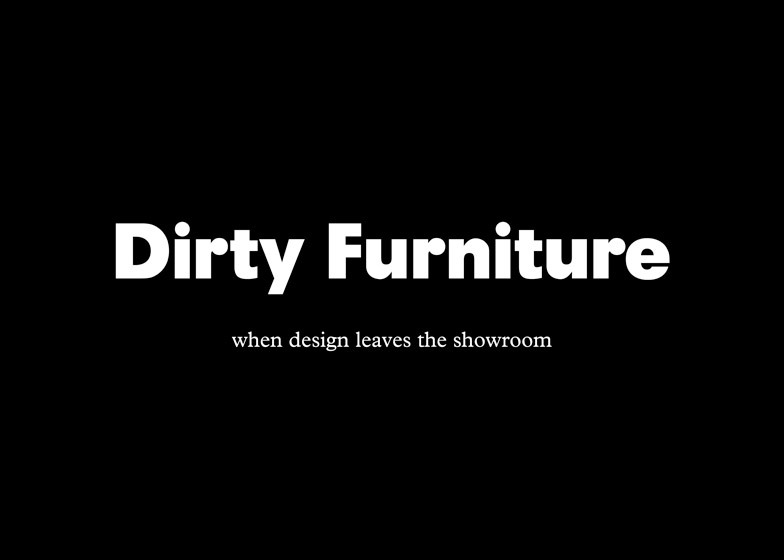 We hope Dirty Furniture will have a place in that research process, and that any designer about to embark on a sofa design will pick up a copy and find it thought provoking. It's impossible to tell whether this will be the case before it's out, but we've had interest from several design colleges who want us to run Dirty Furniture modules; I guess this will be a way of finding out very directly what designers make of us! Anna Winston: When will it launch and how will you distribute it? Anna Bates: We're launching during the London Design Festival and will have hubs across the city where the magazine can be purchased. All issues and subscriptions can be bought on our website (when we've launched) and we'll be working with our distributor to get the magazine in bookshops, design stores and cultural institutions across America, Australia and Europe. Anna Winston: Why publish in print rather than online? Anna Bates: We're very interested in online publishing but it didn't suit this project. We've got lots of longer pieces, and they just work best on the page; at least that's where we enjoy reading them. Anna Winston: Why crowdfund the magazine? Anna Bates: It's a tried and tested way of launching a magazine; it gives people the opportunity to support a publication at grass roots level, simply by buying it in advance. For better or for worse, it also helps to gauge interest. Anna Winston: How are you going to fund future issues? Will there be much advertising? Anna Bates: We hope to fund the magazine through a combination of sponsorship and subscriptions. Our priority is editorial independence, so this will guide our decisions, but we want the magazine to sit firmly within the design industry and be funded using the same model as other design magazines, because it's in this space that we want to have an impact. We're really pleased that we got some brand sponsorship for the first issue. In light of our name we didn't know how it would go with advertising. A few brands were a bit confused – and one was disgusted – but the rest seemed really excited by the premise of something so different. So we feel optimistic about the future. Anna Winston: Has this experience been quite different from your previous experience on established magazines? Anna Bates: Completely; a lot of our time has been spent setting things up; there are so many things to do, besides commissioning and writing. But that's also the fun; you get to build something from the bottom up. Anna Winston: How difficult has it been to get to this stage? Anna Bates: It's been the familiar story: take the hours you expect a project to take and quadruple it. Making a magazine is a labour of love, but worth every moment.